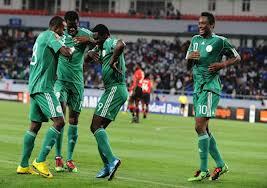 Home / Opinion / Sports News / AS SUPER EAGLES FLY HIGH, WHAT LESSONS ABOUND? AS SUPER EAGLES FLY HIGH, WHAT LESSONS ABOUND? The African Cup of Nations, no doubt has come and gone. But the memories, especially the surprised conquest of the Nigerian legion, which many never gave a chance before and even during the first half of the competition, might exceedingly extend a jubilation that might also last throughout the year in the country. It’s rather not surprising that the presidency, governors, corporate bodies and notable individuals showed good gestures by splashing every member of the team with inevitable cash, landed property and national honour, as a reward for doing the nation proud, bringing home the most prestigious sport trophy in Africa. now flying higher, like an Eagle in the world of soccer, than any other sporting issue at the moment. As expected, the excitement is still very much high, the voice so loud, and the beat of the drum absolutely marvelous, everyone is getting lost totally in this jamboree of jubilation without a careful assessment of the lessons from the nations cup; lessons that can truly develop our football. In modest and without being against any form of jubilation and motivation, I must confess that it's worth celebrating, especially being a long time since the country had gotten to the first position. But the truth remains that in order to maintain, sustain and consolidate our present status, as the African king, we must assess the revelations derived from the achievement of the team, especially, those that would uplift the Nigerian premier league, having seen the performance of the home-based professionals in South Africa. So it's better to put the drums down, lower our voices and put our house in order owing to the fact that much better days are ahead if we adhere strictly to these moral lessons. The home-based professionals who did not only participate in the tournament, but also made active impacts in the team, went, saw, and they conquered. They made a good statement of revolution for those that have ears to hear about the repositioning of the Nigerian Premier League. But sadly, this message is not being grabbed by those concerned, in order to see the achievement of the team and the exceptional performance of the home-base players as a lesson and an opportunity to revive our league. Instead, the song of jubilation has continued to over-ride the lesson. After seeing Godfrey Oboboana as a consistent feature in the victorious Super Eagles team, being the only player, aside from the goal-keeper Vincent Enyeama, that saw every 90 minute of every match, and being a key player in the defense line-up, coupled with his brilliance and mental agility through-out the competition, many must have marveled that such a caliber of player, who could be compared to any top European club defender, plays for Sunshine Football Club, in the Nigerian Premier League. There is this negligence of the fact that, there are hundreds of Oboboana playing in this league… a league that is saturated with irregularities, un-professionalism and mismanagement on the part of its officials. There is no gainsaying the fact that many of these officials know nothing about the management of football. Moreover, the exploit of Warri Wolves midfielder Sunday Mba, un-arguably preaches the gospel of how creative, strong and talented a Nigerian home-based footballer could be in a major tournament like the African Cup of Nations. When this young man scored the winning goal against a formidable and over-rated Ivorian side, it then became a question period… "Who is he and where is he playing?” kind of questions came up. Researches were immediately made, mostly, through the internet by football loving Nigerians, only to discover that, he is just a full-fledged home-based player from Warri Wolves. 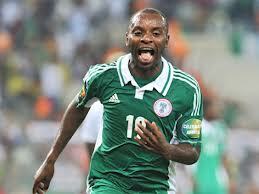 He became so important in the team that he featured consistently after the Cote-voire match, and even went ahead to score the only goal in the final of the competition against a more physical Burkina Faso that was so aggressive in defense meanwhile, helping Nigeria to seal the title for the first time in nineteen years. What a great gift from a home-based player! Yet, many might not consider the fact that there are thousands of Mba out there. We could even see some who are better, languishing in a league that is collapsing every day, due to selfish attitude on the side of its managers. Having mentioned the impacts of these two players, I have no doubt in my mind that the other four home based players would have also performed spectacularly, if they had had the opportunity of playing in the tournament. And this of course shows the level of professionalism among the players in the league, despite the shabby nature of the league in recent time; the league as it is, is obviously designed with lack of facilities, irregularities on the side of the handlers, non-payment of players' salaries for months and many other disgraceful attitudes, perpetrated by its managers. The problems facing the league are just too enormous that it needs an urgent restoration by these concerned people, so as to move our football forward, spreading from sponsorship right to broadcasting right; from lack of playable pitch to corruption as a result of host clubs influence on referees. Non-payment of players' salaries is also for certain, a re-occurring feature and the total neglect of the league by its people as a result of what many call tattered football display. It is no doubt a dent on the league that has wonderful players that could stand their feet anywhere in the world. Not quite long, the sponsorship right was resolved, after close to two consecutive years that the league had been, without a sponsor. The dire financial situation of the NPL caused the league body to ask host clubs to pay the indemnity and settlements of referees who officiate individual league match towards the end of last season, an act that further encouraged corruption in the league. Furthermore, the board of the Nigeria Professional Football League (NPFL) is the body charged with the responsibility of organizing the Nigeria Professional Football League (NPFL) but many of its members are concerned with personal interests; a popular phenomenon which runs in virtually all areas of our lives everywhere. These members are so detached from the modern ethics of running a perfect football league. They do not attract investors' interests as well as the interests of Nigerians to watch their indigenous clubs in a well-packaged and T.V friendly manner, thereby giving room for the Europeans' clubs interest, with an average Nigerian having a keen interest in one European team without even being able to mention the name of a top team in Nigeria. What a national disgrace! Ask an average Nigerian the colour of the jersey of Warri Wolves or Sunshine, he/she would definitely find it difficult to answer. But ask him/her about any European club, you would be rest assured of getting the right answer. No one should blame these individuals who have for long suffered apathy from our league; rather, the blame should be necked to the so-called organizers who are not creative in what they do to make sure that Nigerians have good pictures of their league. However, it's even an aberration to know that the Nigerian broadcasting media are not helping to develop this league, instead, many of them tend to invest so much in show-casing a ready-made European league. Switch on your T.V set on a weekend, and then you would see this terrestrial T.Vs showing the English Premier League, without a concept of our own league in their agenda. It is so bad that it's only on the cable station (DSTV) that you can watch live, some of the matches. Many might come to oppose my perception and opinion and say, "at least the league will soon kick-off after the resolution of the title right some weeks back". This argument is right but at the same time baseless. Truly the title right has been resolved and the league is said to start soon. But what quality of football are we going to be seeing when the League starts? What kind of pitch are the players going to be playing on? Are we going to be seeing live, on T.V, our own league matches or recorded ones? What are the programmes put in place to put a halt to the corrupt characters in the league when the league starts? The board members, if not changed, have they been transformed? Are players getting their payments as at when due when the league starts? Who are the individual sponsors of the clubs? And lastly, will the league be watchable for Nigerians when it kicks-off? If these questions are still not answerable by now, it means that my perception and opinion are still vindicated. Meanwhile, talking about those concerned, I'm not actually referring to the board of the NPFL who has failed us and inflicted more problems on the league for so long, neither am I referring to state governments, many of whom have played real political football with our league… rather, I'm referring to an honest federal government policy, corporate bodies and notable individuals, all of whom were impressed with the performance of the Super Eagles and had shown one character or the other to motivate them, to also come out and show concern, so as to liberate the Nigerian league from promoters of mediocrity who are digging the grave of our football. If individuals like Dangote, Adenuga and many other business moguls in the country who have shown their passion for football by their rewards towards the Super Eagles, together with corporate bodies, could hijack the leadership and ownership of the league body and clubs respectively; running football like a real business that it is, with a federal government, which without politics, gives a fair policy that will aid the business of football, I bet that there will be an automatic change. By then, the NPFL would not only experience growth in packaging, but it would also be profitable to investors. And when this happens, we can then have more Mbas, more Oboboanas and other talented and resourceful players in the national team without an inferiority complex that has affected many of them in recent time. It's by this that we can actually maintain, sustain and consolidate our kingship in the African football and not by the beat of the drums which is still rampant, now. Finally, I want to believe that one of the secrets of the success of Stephen Okechukwu Keshi came from his strong belief in the home-based players. Many before him had failed for not believing in them. It's even an argument for another day that the two home-based players that featured regularly in the tournament played more crucial roles in Keshi's success than other players. So, if we come to the rescue of the NPFL, we could actually find thousands of these great players, thereby upholding the euphoria of our champion status in Africa. On the contrary, if we fail to take this step of restoration towards the NPFL, we might as well be dethroned in no time, leading us back to our previous position. Remember, nineteen years was a long and tough period before now. Also, Think about this," gone are the days when Eagles are chickens, we thank God they can now fly". its not about d starting but about d success. it is a lesson for all, that we might be going tru rough life now, d 2nd round might b against strong ones, we will always and surely overcome. 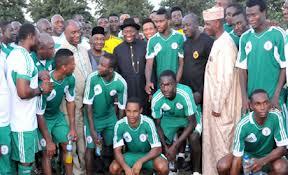 I wish this politiking wit Nigeria's football wil ever stop... By then, we will smile. Football ıs real bız.Let's mk ıt attractıve. In Nigeria, no lesson can ever be learnt. We are highly complacent. Wr ar too relaxed. Just watch out how they wil soon rubish the title. There could be a change in the officials this. They might take this seriously. Just being optimistic.